BNS assists businesses and nonprofit organizations in constructing strong, mutually beneficial linkages. 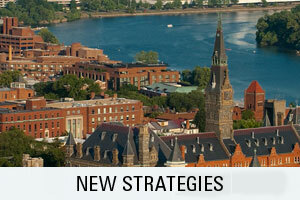 If your nonprofit organization is serious about developing and sustaining revenue generating strategies that work, learn more about the New Strategies Program co-directed by BNS and Georgetown University's McDonough School of Business. 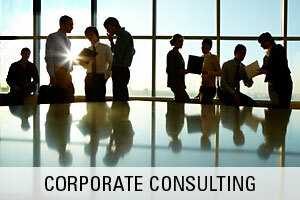 BNS helps companies plan and implement strategies that yield benefits to both society and the corporate donor. A BNS exercise called the Seven Elements of Intelligent Company Grantmaking is widely used to assess corporate philanthropy effectiveness. BNS is the nation's top resource for helping develop strong business and nonprofit alliances. 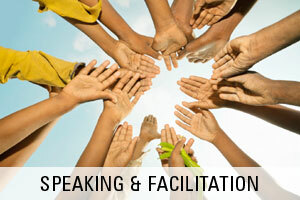 Whether keynoting a nonprofit's annual meeting or facilitating a corporate foundation board retreat, BNS brings decades of experience to a nonprofit organization. © 2019 by Business & Nonprofit Strategies, Inc. All Rights Reserved. Business & Nonprofit Strategies, Inc.